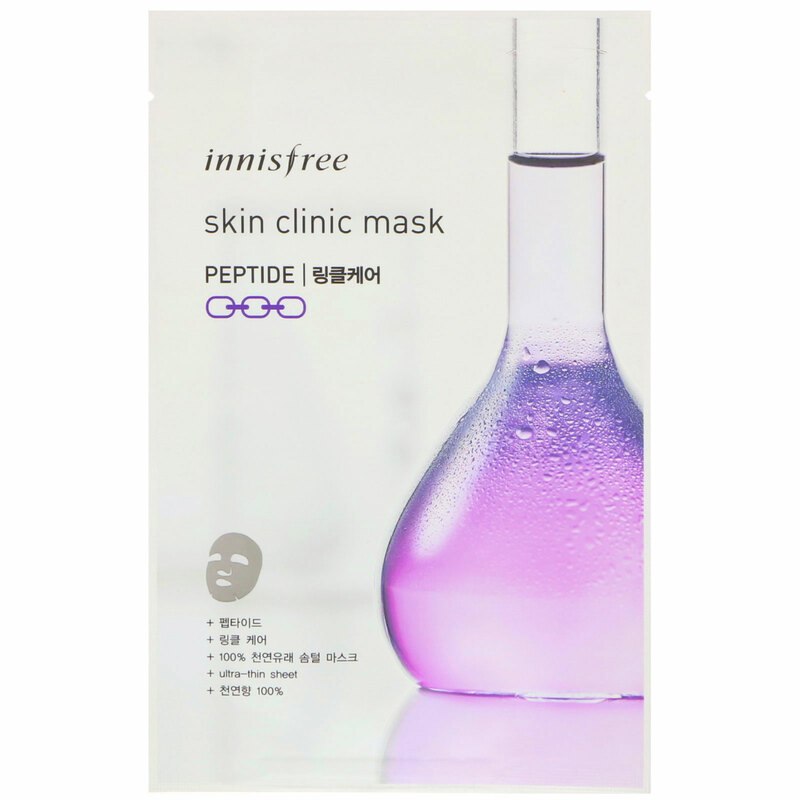 This fine delicate cotton mask with functional wrinkle improving benefits contains peptide to intensively reduce signs of aging, leaving your skin feeling sleek and resilient. After cleansing, use toner to refine skin texture. Take out mask from package and remove film. Evenly adhere it to entire face, avoiding eye and lip area. Remove the sheet after 10-20 minutes and gently pat to allow the remaining formula to absorb into skin. Water, butylene glycol, dipropylene glycol, 1,2-hexanediol, citrus paradisi (grapefruit) fruit extract, glycereth-26, betaine, carbomer, arginine peg-60 hydrogenated castor oil, cellulose gum, adenosine, citrus aurantium bergamia (bergamot) fruit oil, olea europaea (olive) fruit oil, glycerin, citrus grandis (grapefruit) peel oil, lavandula angustifolia (lavender) oil, pelargonium graveolens flower oil, citrus unshiu peel extract, orchid extract, camellia sinensis leaf extract, camellia japonica leaf extract, opuntia coccinellifera fruit extract, copifera officinalis (balsam copaiba) resin, jasminum officinale (jasmine) oil, salvia officinalis (sage) oil, rose flower oil, elettaria cardamomum seed oil, ethylhexylglycerin, copper tripetide-1, disodium edta. Immediately stop using in case of skin abnormalities after use. Use as quickly as possible after opening. Avoid using around the eye area. 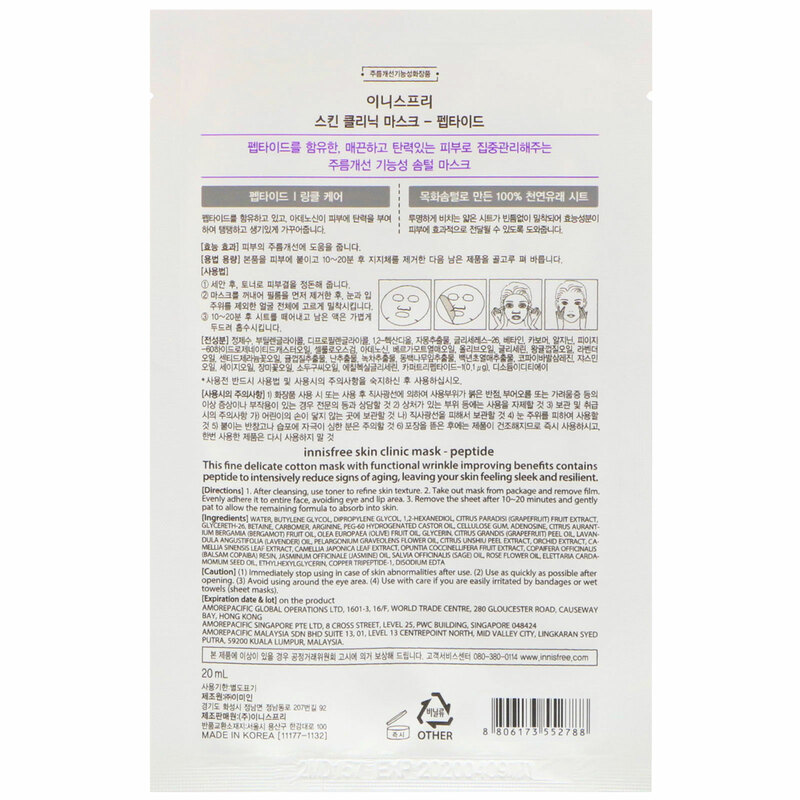 Use with care if you are easily irritated by bandages or wet towels (sheet masks).